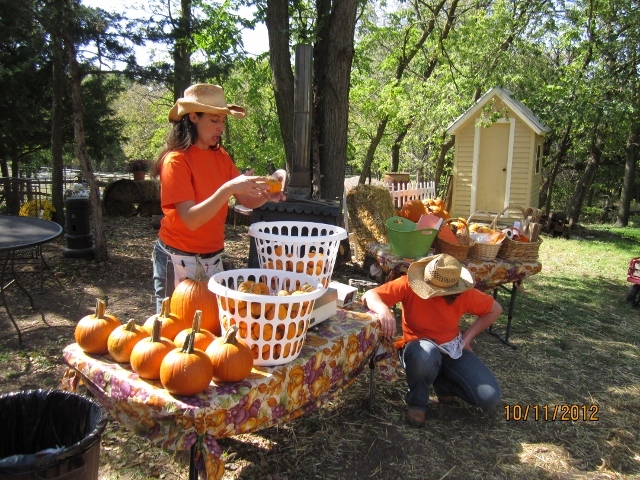 Today certainly felt like pumpkin patch season is upon us. You know that type of day when your feet sigh with relief when you sit down at night? That was today. 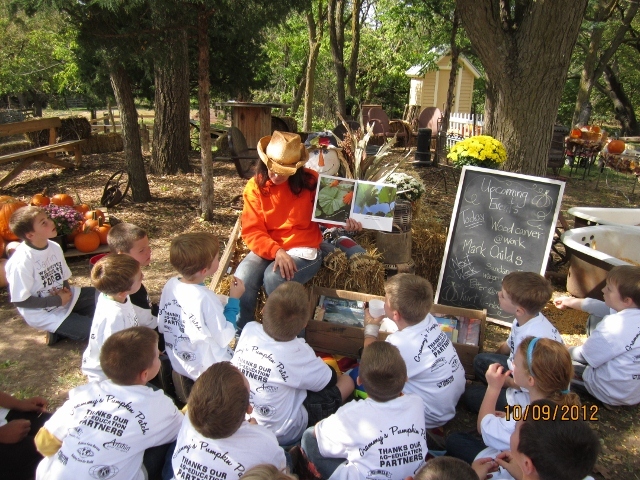 We started off our day (after chores, of course) at Washington Elementary School in the second grade classrooms where we kicked off our agriculture education program, “In the Class and On the Farm.” It was a privilege to guide the students in the discovery of the “what” and “why” of Kansas agriculture. 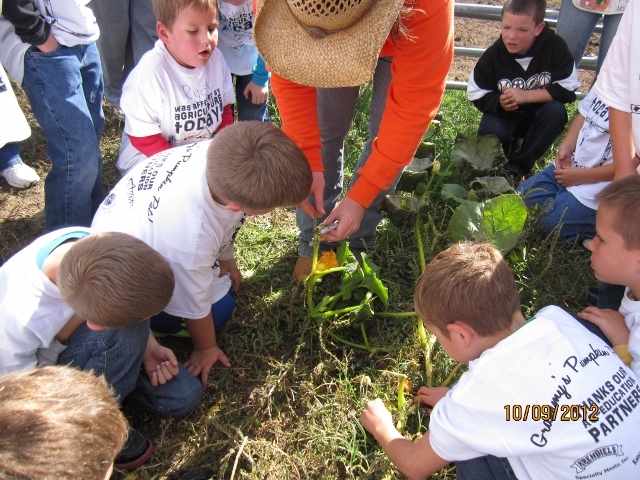 Did you know that it is impossible to live a day without being affected by agriculture? Just ask those second graders, they’ll tell you! 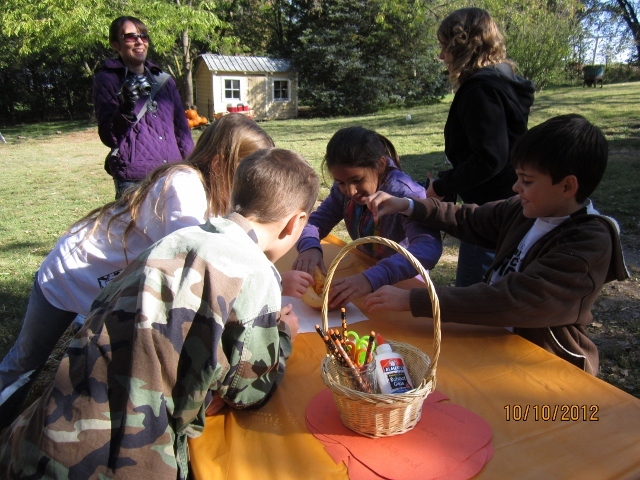 Here they are wrapping up their class time illustrating one of the many ways they were affected by agriculture today. 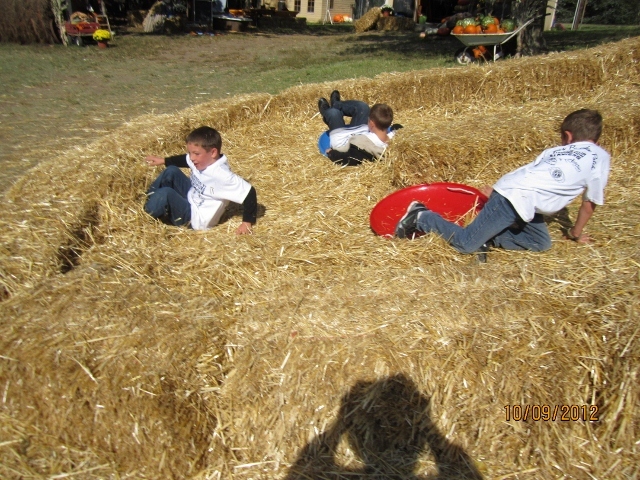 After class it was time to hustle back to the farm to prepare the grounds for the pumpkin patch season. We open on September 27, and there is much to do. By the time the sun went down, we had checked off a lot of items on the master “To Do” list- prepping the new school room, filling sand boxes, painting signs, moving equipment, etc. As we worked around the farm, we found at least five of these big guys. This isn’t the best picture, but I couldn’t make myself get any closer. I think his body was about two inches long, not counting his legs. I have never seen so many giant spiders in one day. I know they are great for taking care of the gardens, but they sure can take us by surprise (and sometimes yelp out loud)! 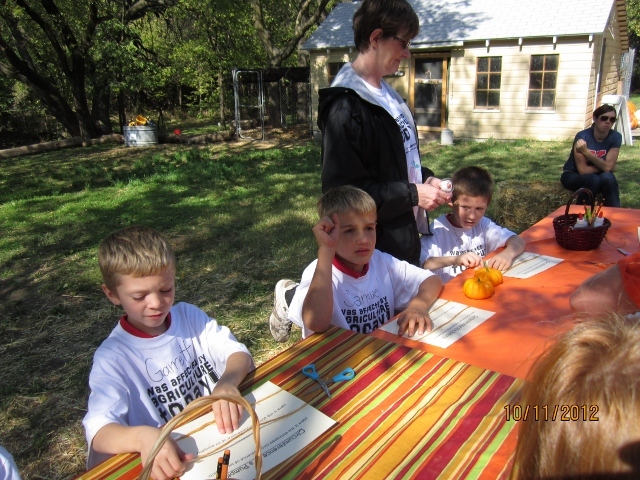 We concluded our “In the Class and On the Farm (ICOF)” program this week. 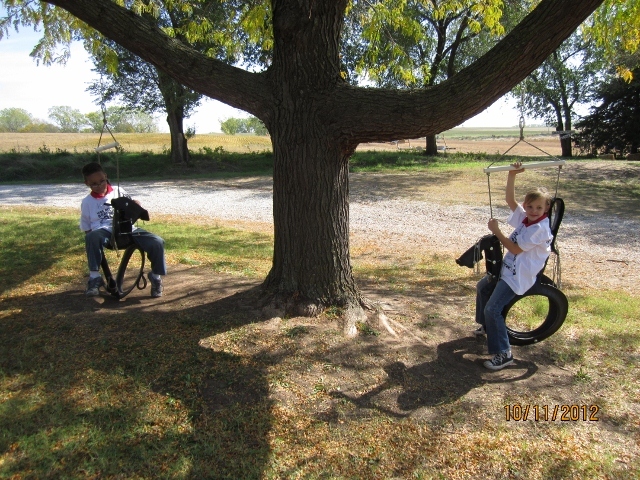 Thank you USD 418 for sharing your 2nd graders with us and valuing agriculture education. 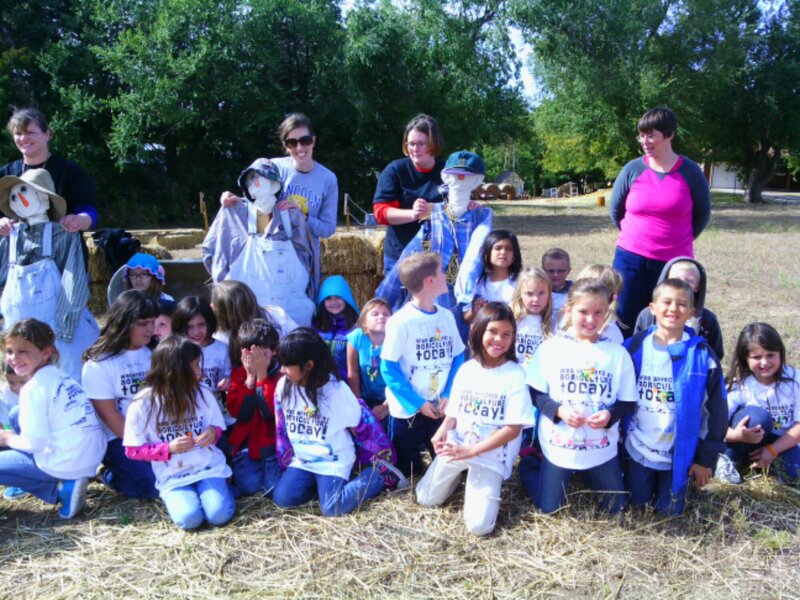 Roosevelt Elementary students joined us on the farm on Wednesday. Sadly, I had camera issues, so I don’t have pictures of the day. Hopefully I can get a hold of some on me else’s pics. 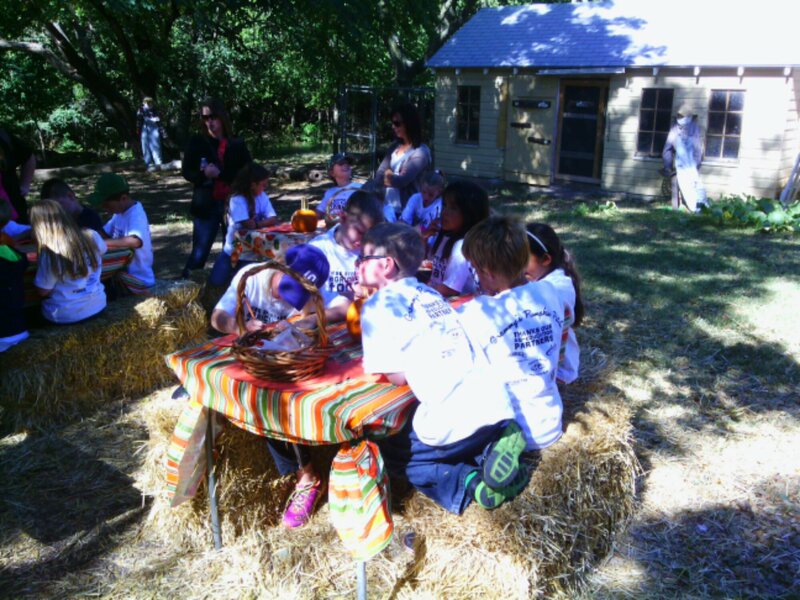 Lincoln Elementary spent the day with us yesterday. 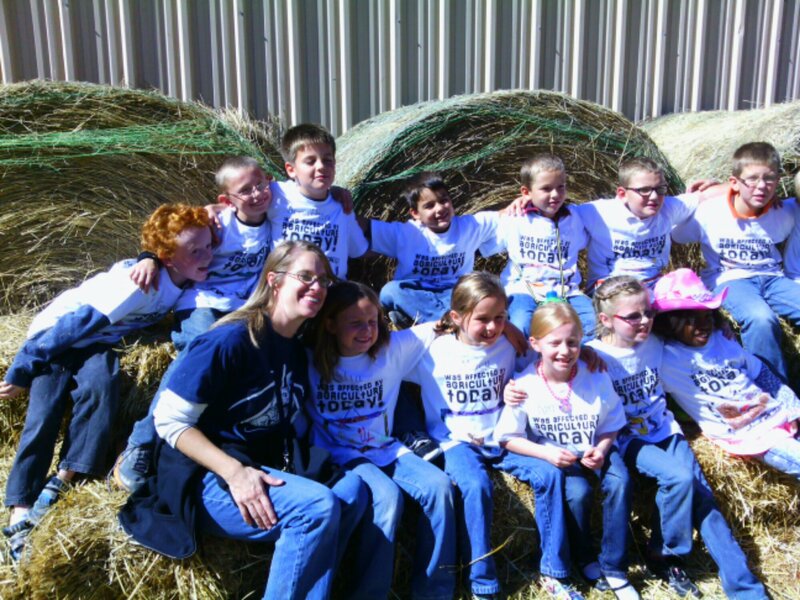 This last group of ICOF students were awesome agriculture advocates! 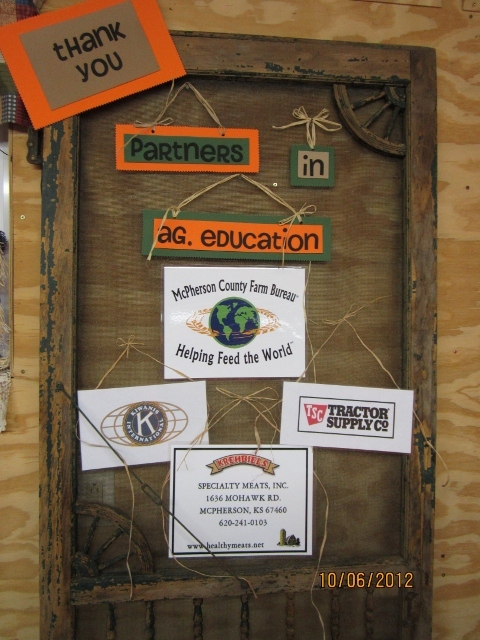 Thank you, again, to Farm Bureau, Kiwanis Club of McPherson, MidKansas Coop, Artshirt, Krehbiel’s Specialty Meats, and Tractor Supply for all of their support for the “In the Class and on the Farm” program! 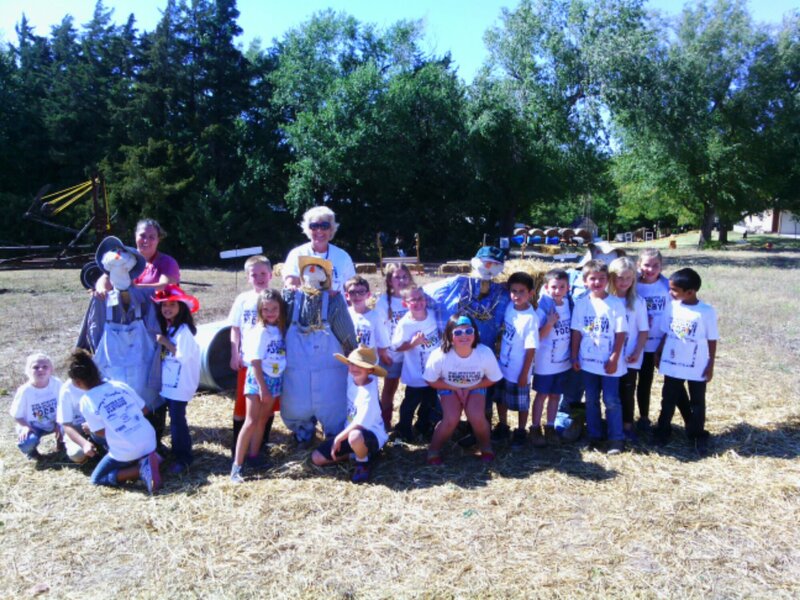 Mrs. Baker’s 2nd grade class was a joy today! 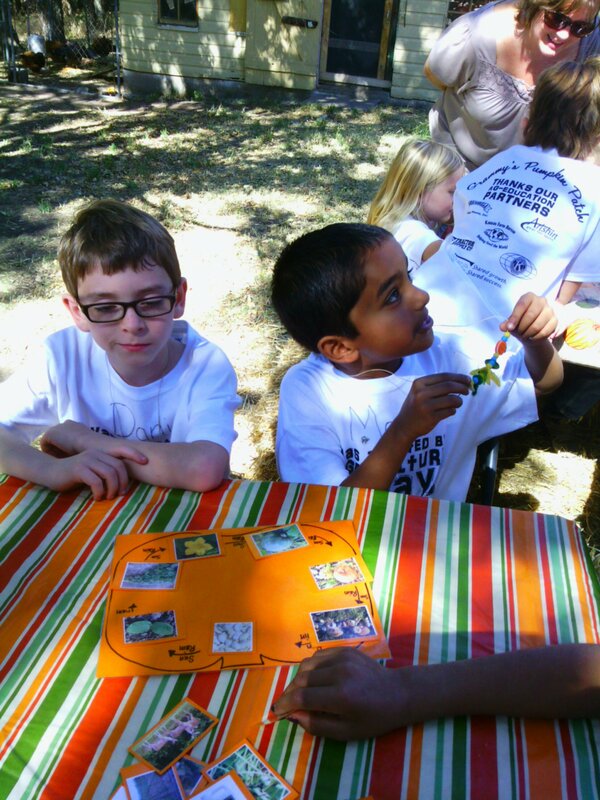 Lots of learning and lots of fun was had by all. Thank you to Angie Krehbiel (Krehbiel’s Specialty Meats), Harry Watts (Farm Bureau), and Ron Frank (Farm Bureau) for sponsoring this program and for joining us for the day. 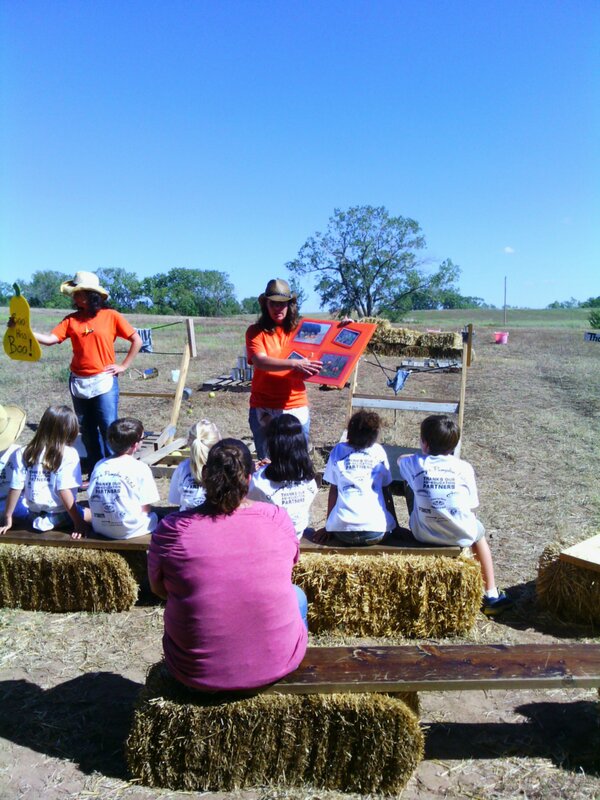 Today the 2nd graders from Eisenhower Elementary continued their agriculture education. 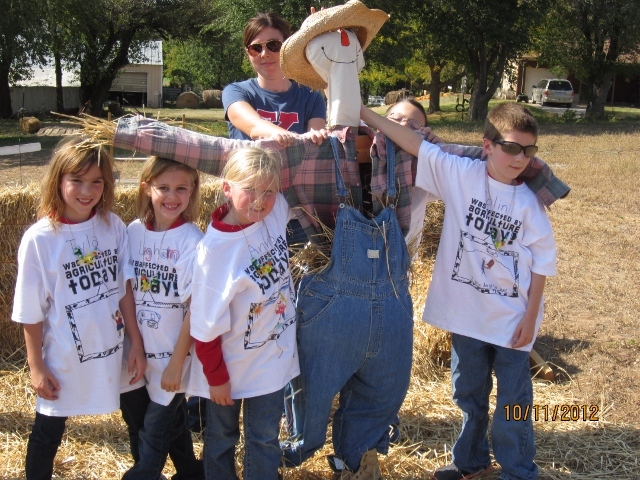 What an “ag-citing” day! 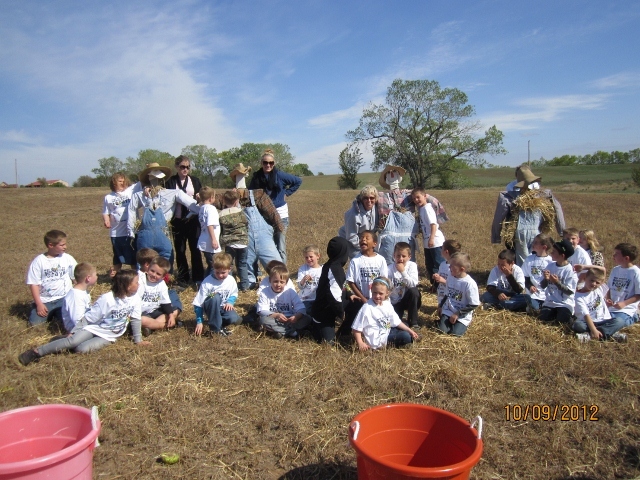 Thank you to Farm Bureau, Krehbiel’s Specialty Meats, Artshirt, Kiwanis, MidKansas Coop, Tractor Supply for sponsoring this adventure in agriculture! 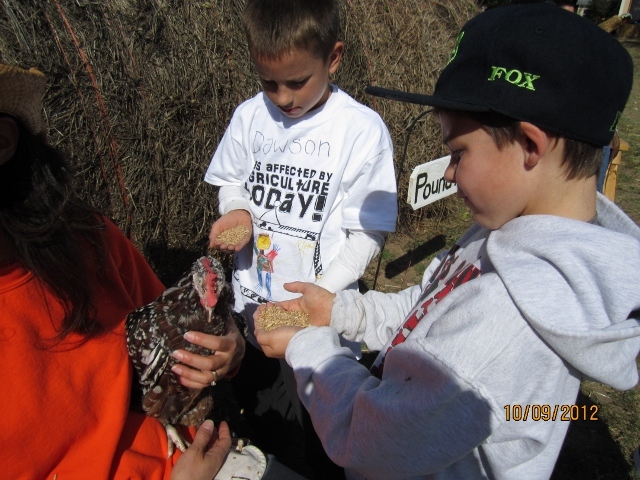 We thoroughly enjoyed our day on the farm with the 2nd graders from Elyria. They were hard workers. Thank you Mrs. Allen! 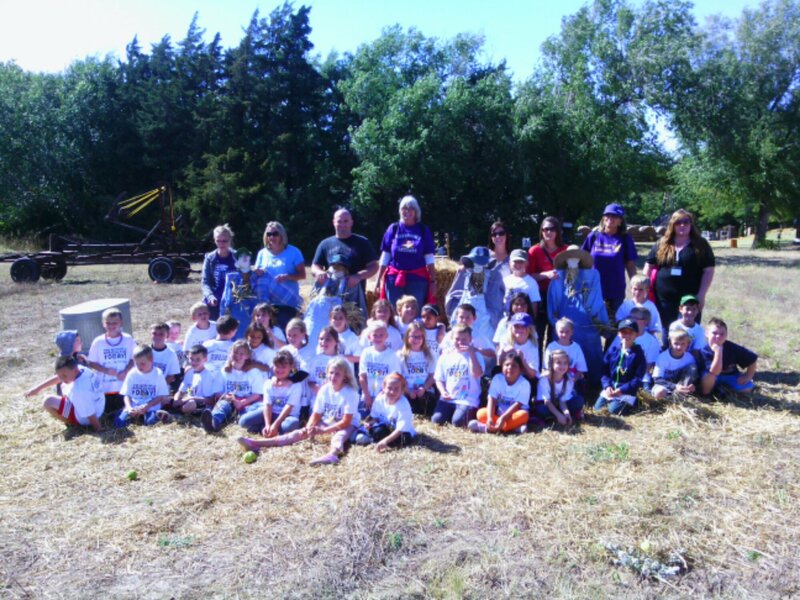 We’d also like to say a special “thank you” to our Ag Partners who helped sponsor the trip: Farm Bureau, Kiwanis, MidKansas Coop, Krehbiel’s Specialty Meats, Artshirt, and Tractor Supply. 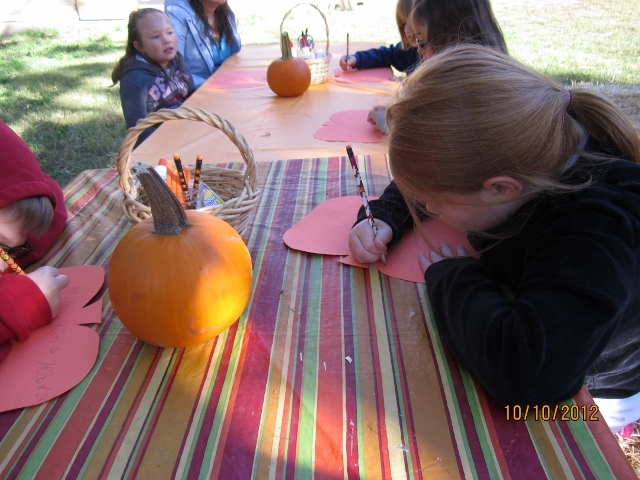 TSC, we are so grateful for our education awning! 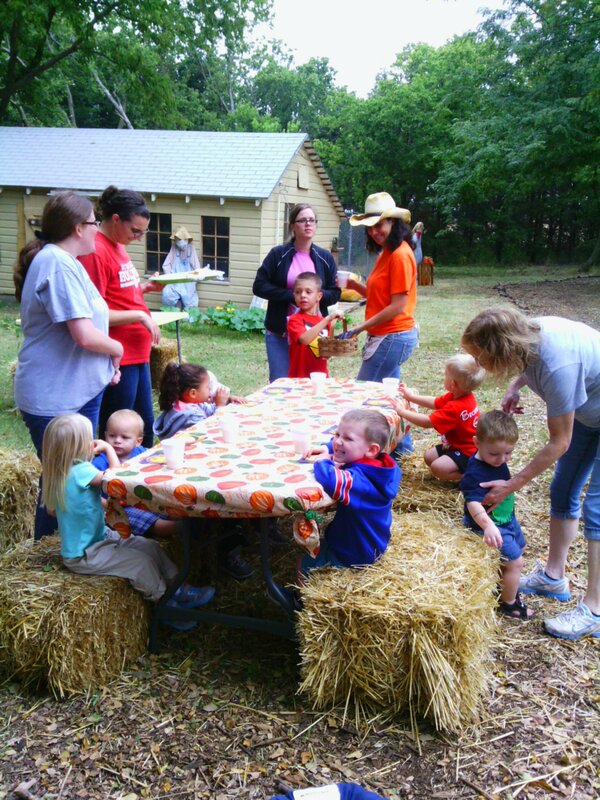 We had a fun time with the young ones from Wiggles and Giggles this morning as they explored the farm and the pumpkin patch. 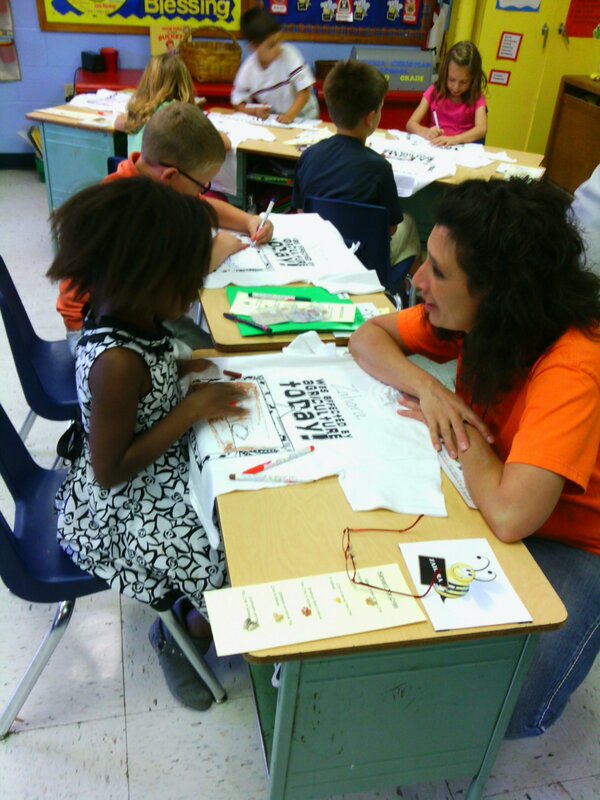 This afternoon we headed to Elyria Christian School to visit with their 2nd graders. 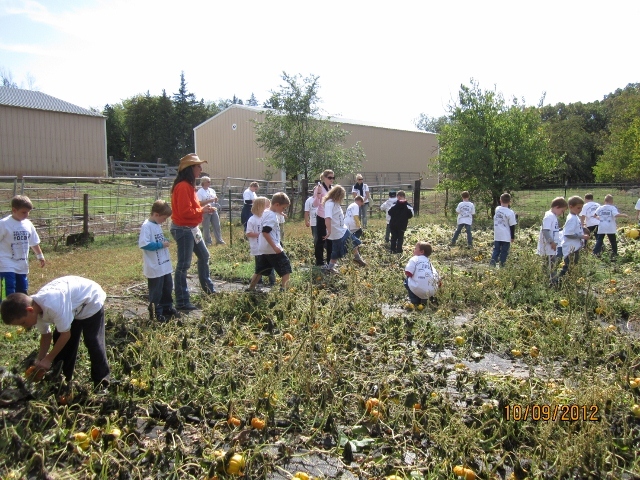 They are participating in the In the Class and On the Farm (ICOF) agriculture education program. 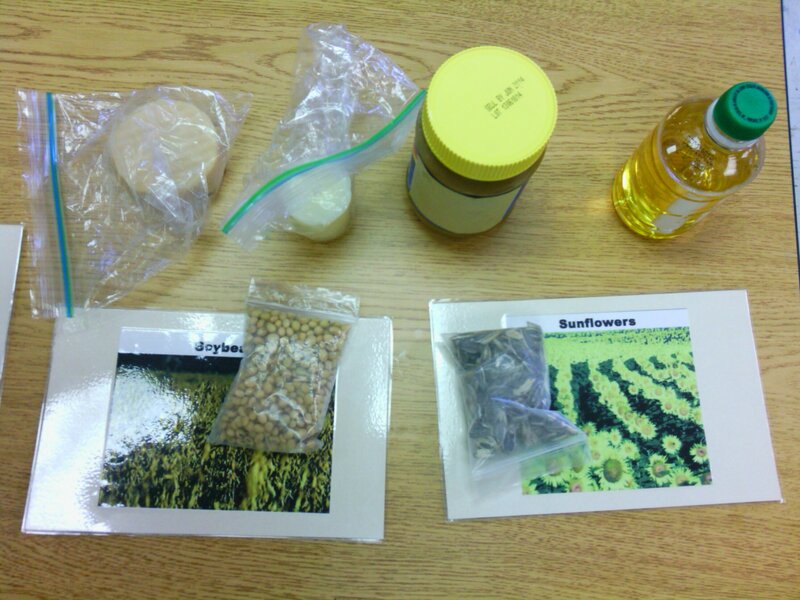 This afternoon we discussed the definition of agriculture, and we discovered the many ways that we are each affected by agriculture every day. Just ask them, they’ll let you know! 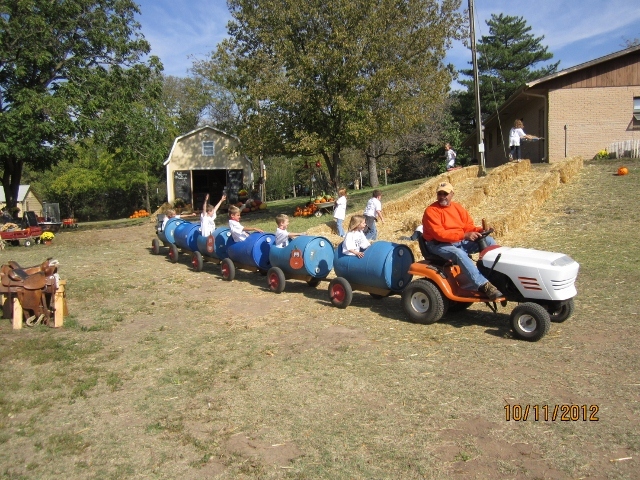 See you Monday for your day on the farm, second graders! 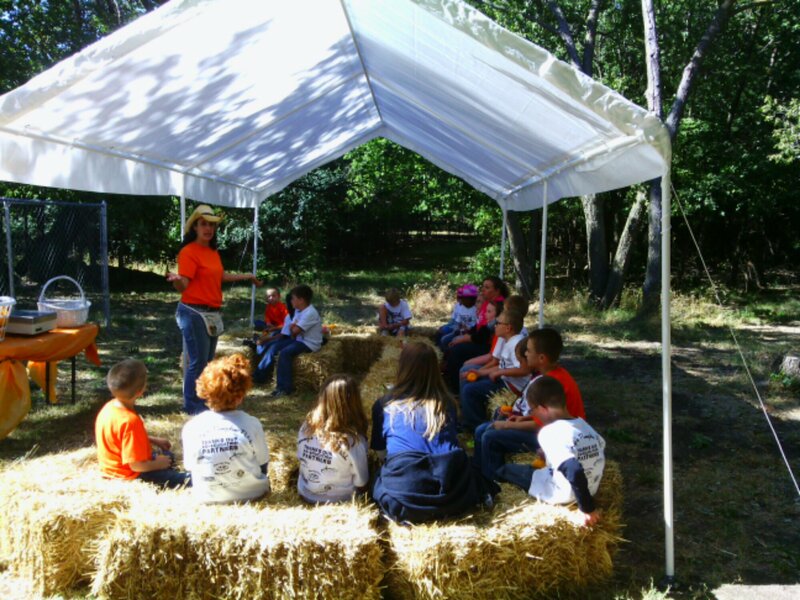 “Agriculture is the process of preparing the soil to raise crops and livestock!” Just ask any 2nd grader from Washington Elementary, St. Joseph, or Elyria, and they will tell you. 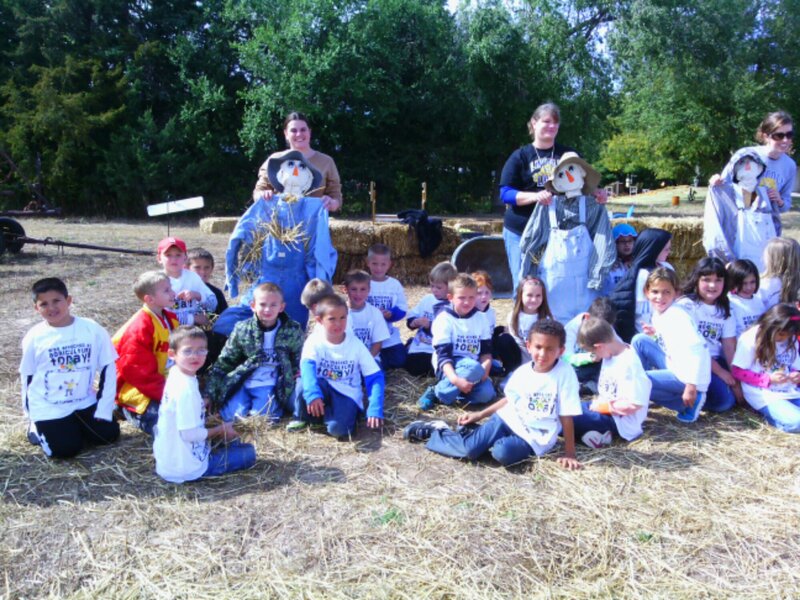 These were the three schools whose 2nd graders participated in our “In the Class and On the Farm (ICOF)” program for 2012. 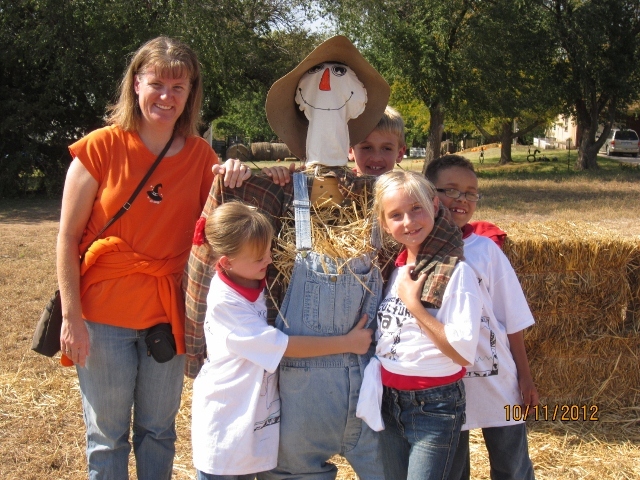 The program was made possible largely through grants and donations from Kansas Farm Bureau. 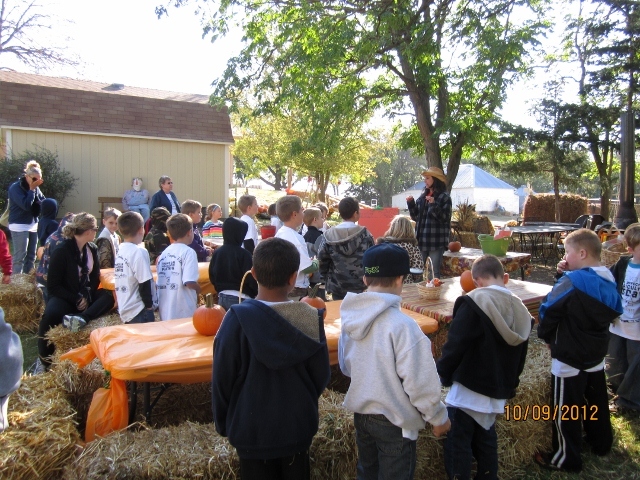 Several local businesses also partnered with Grammy’s Pumpkin Patch to sponsor the agriculture education program – Krehbiel’s Specialty Meats, Kiwanis Club of McPherson, Artshirt, and Tractor Supply Co. Due to the increasing tightening of school budgets, we are so thankful that these businesses and community groups value ag education! 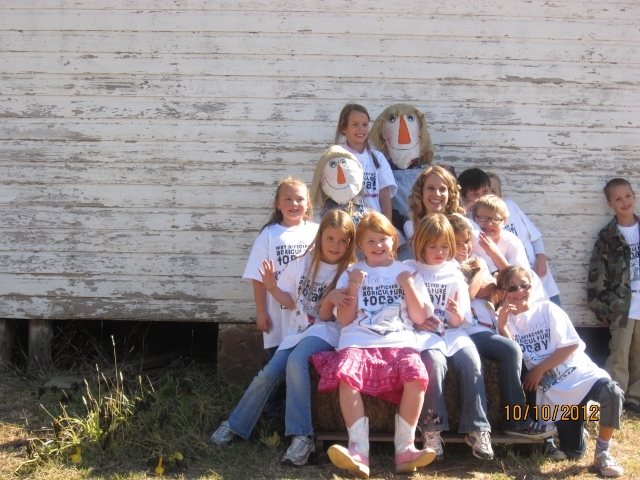 My family has been greatly blessed to grow up with personal access to a farm. 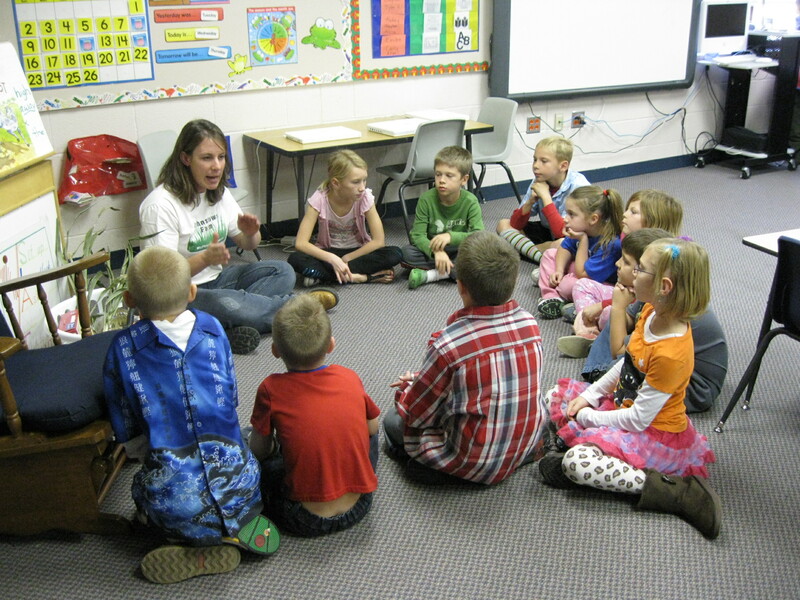 We realize that this is not true for a growing number of students, even within McPherson county. 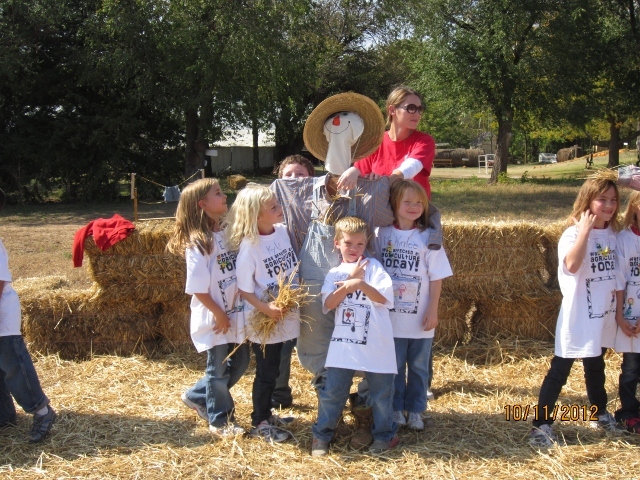 Statistics show that, on average, the elementary student is two generations removed from the farm. Along with this gap, comes a growing disconnect between the field and the table for most students.We believe that everyone deserves to be informed consumers of all products (food, textile, etc). 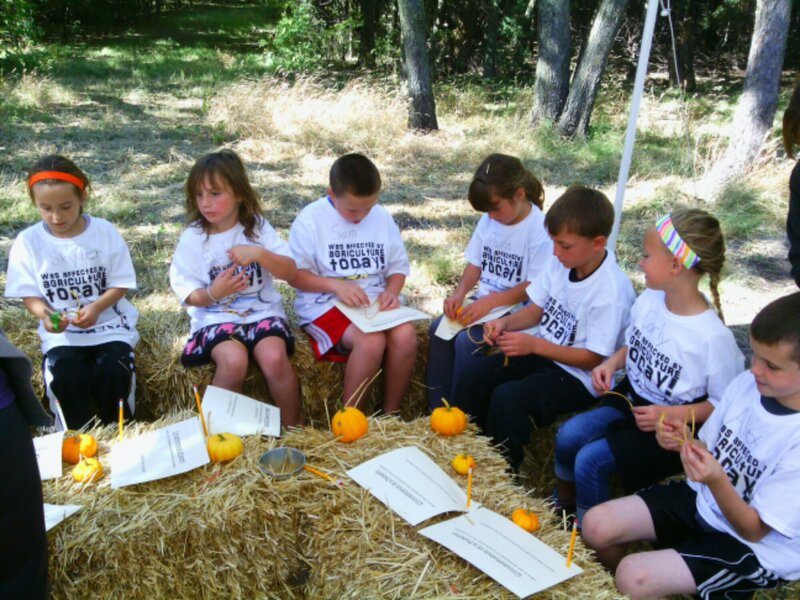 We also believe that to be an informed consumer, one must be made aware of true agriculture. 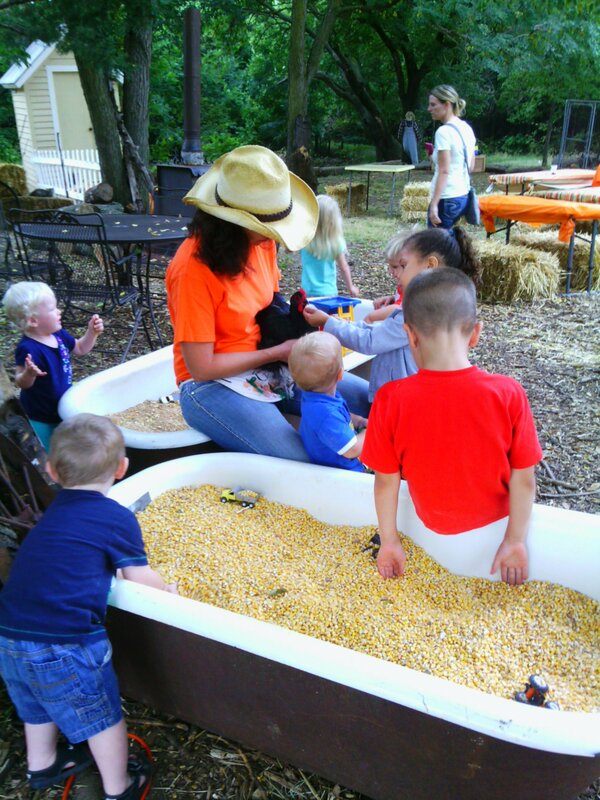 What better way to teach than on the farm? The curriculum is two-fold. 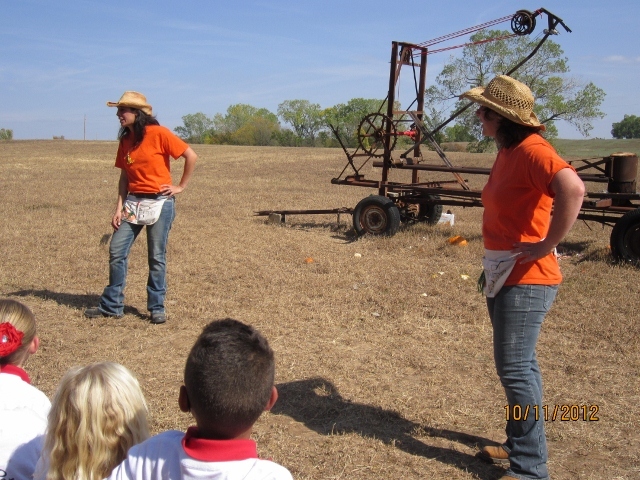 Angie and myself, both Kansas certified teachers, go into the classroom to teach the basic “what, why, and so what?” about Kansas agriculture. 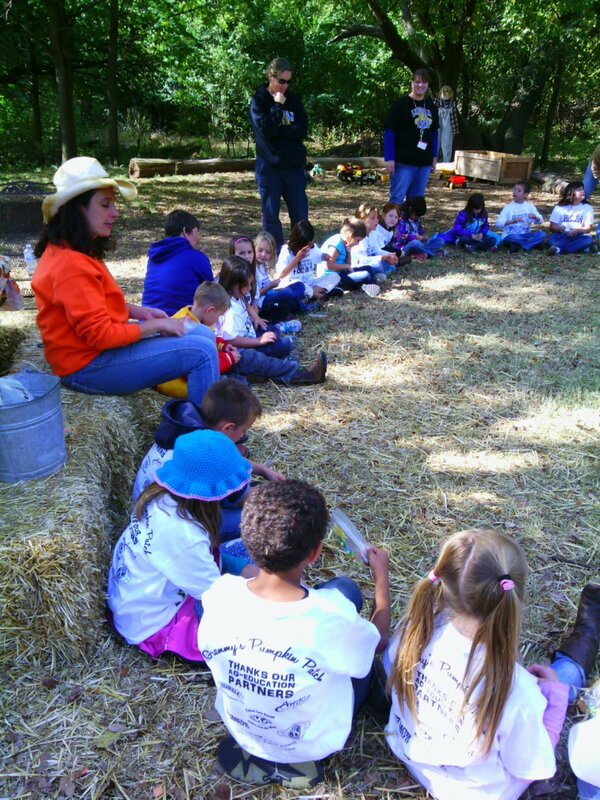 We begin by posing the question, “Who in here has been affected by agriculture today?” We are usually met with 3 or 4 hands per class. Most responses include petting or feeding the family pet, seeing a cow on the way to school, or dreaming of barnyard animals. 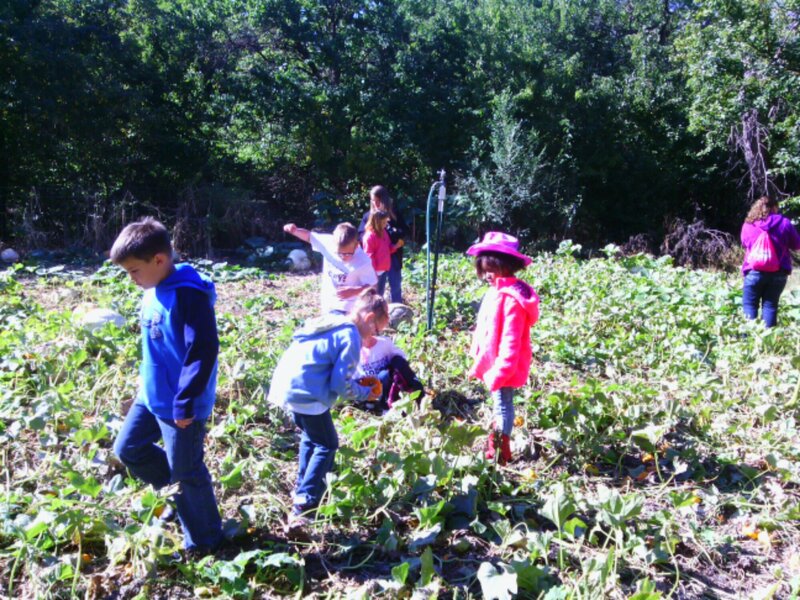 The next couple of hours are spent defining agriculture, learning how each and every person is affected by agriculture every day, and learning specifically about Kansas’s Top Crops. 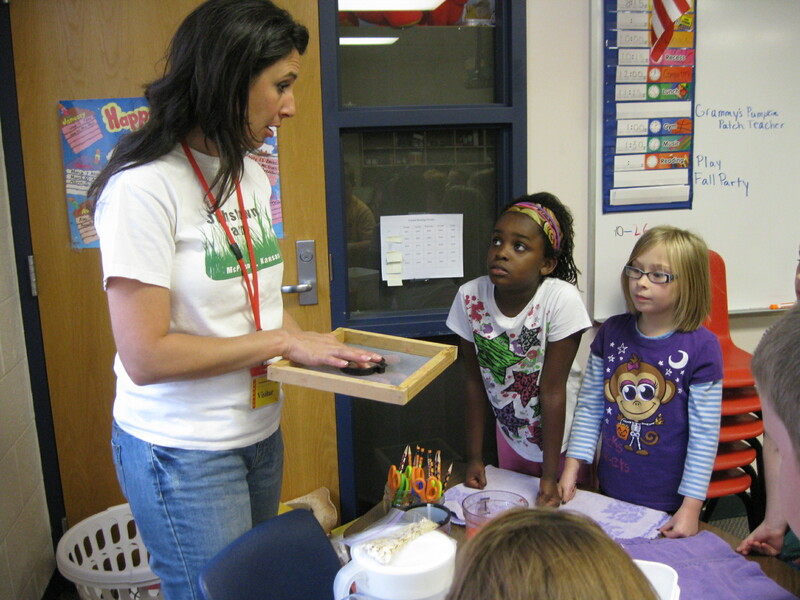 All of these lessons are hands-on and align with state teaching standards. 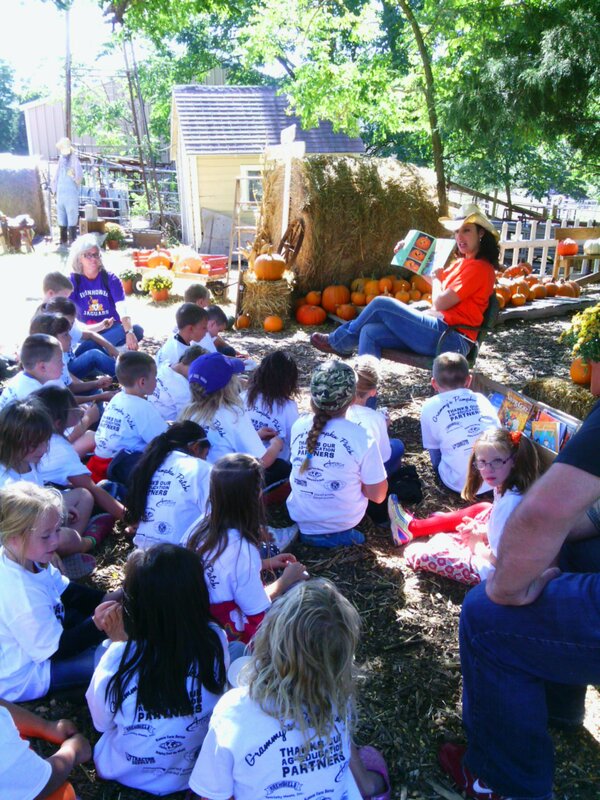 The second part of the ICOF program is a day of common core lessons taught through the lens of agriculture that takes place on Johnstown Farm during the pumpkin harvest season. These were some packed full days – certainly some of my favorites from the season. 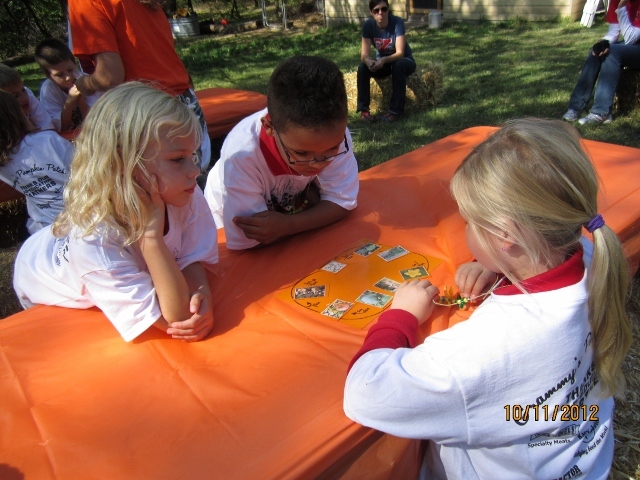 We hope to see all three schools back next year, and also be able to extend the program to other 2nd grade classrooms. 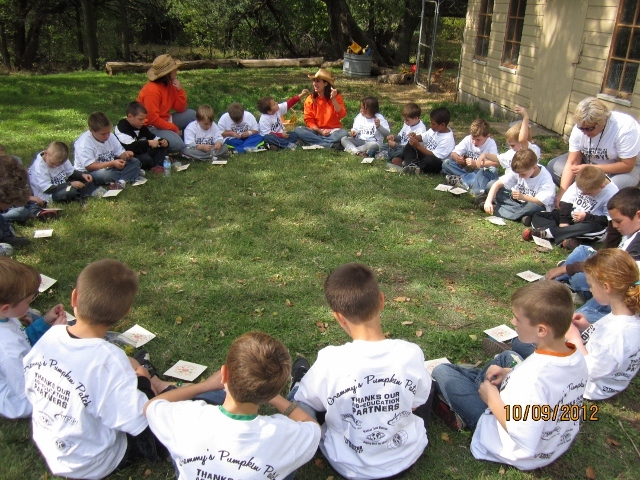 Thanks again to Kansas Farm Bureau, Krehbiel’s Specialty Meats, Kiwanis Club of McPherson, TSC, and Artshirt!